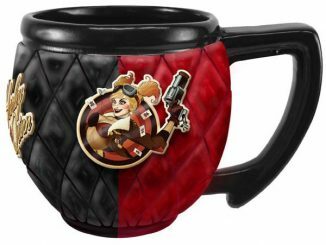 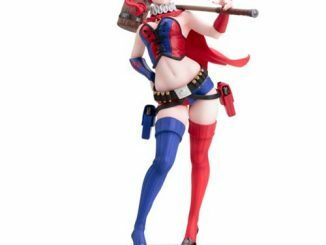 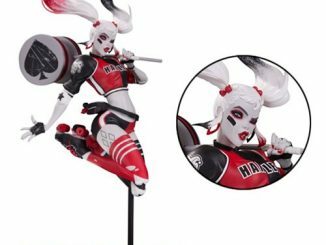 The princess of crime gets a new look with the DC Comics Bombshells Harley Quinn Red Black and White Statue. 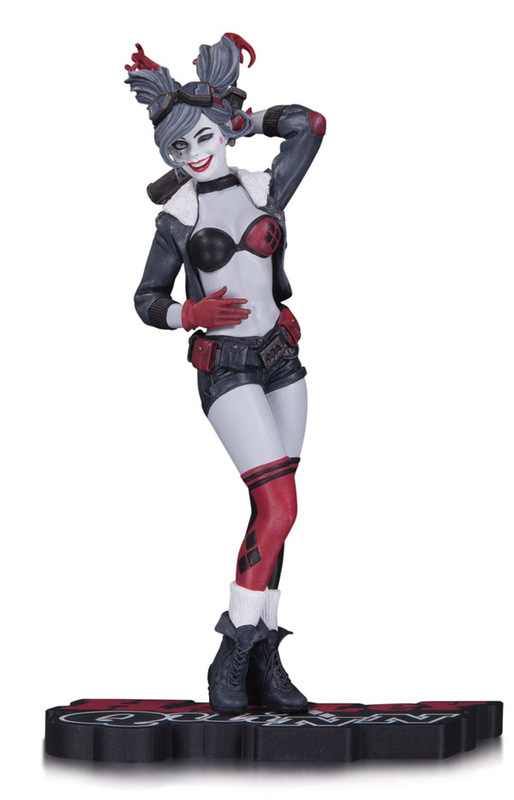 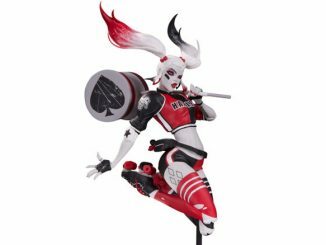 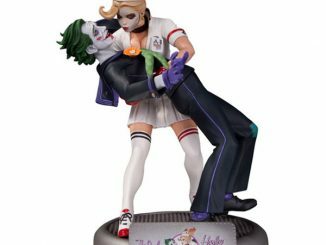 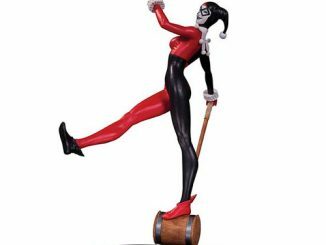 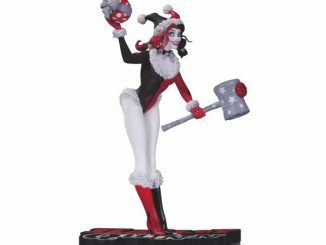 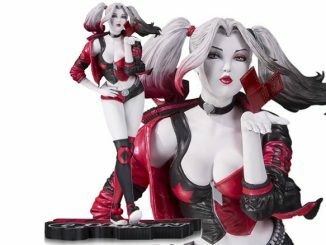 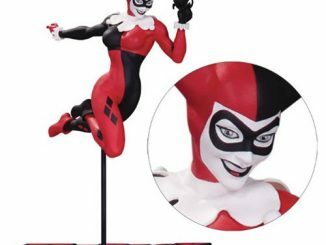 Standing almost 7-inches tall, Harley gets a new look with this black and white statue that features selective coloring, with little splashes of red that really catch the eye. 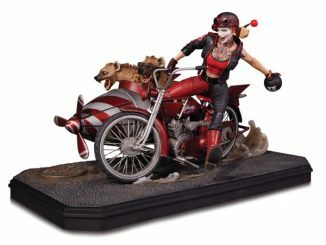 The DC Comics Bombshells Harley Quinn Red Black and White Statue will be available December 2016 but it can be pre-ordered now for $79.99 at Entertainment Earth.